You are currently browsing the monthly archive for December 2009. Note: Between now and January 1, we’re going to write about ten of our favorite things (in no particular order), from 2009. 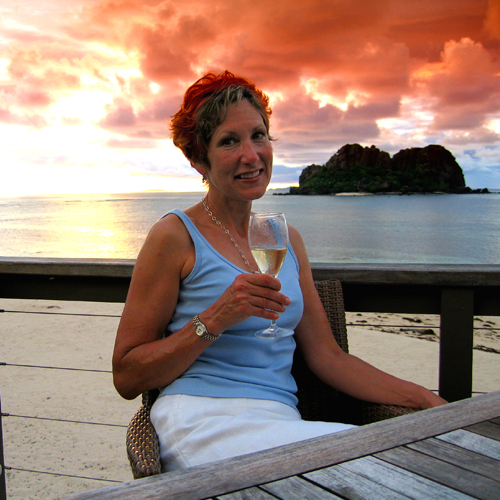 A pretty woman, champagne, and sunset at The Rock on Vomo Island--the perfect way to end the year. Photo by David Lansing. It’s not easy to get to Vomo Island, situated as it is midway between the Lautoka and Wayaswea islands of Fiji. Most people come to the island via seaplane from Nadi, although you can also take a helicopter. Once there, you’ve got only one choice as far as where to stay on this 91-hectare volcanic island: a chic 28-villas eponymously-named resort spread out along the whitest beach you’ll ever see. But on New Years’ Eve, the place to be is The Rocks at Vomo, perhaps the most exclusive bar in the world. Situated atop a point on the western end of the island, the only way to get there is to take a short hike through a copra grove. Tonight—just like all nights—The Rocks will only be open for about an hour—just at sunset. But, oh my, what a sunset. Arrive around 6, order champagne or a Blue Lagoon cocktail—vodka, blue curacao, fresh lime juice, and a touch of Sprite—from Niko or one of the other bartenders and watch that big orange ball in the sky drop into the South Pacific announcing the close of 2009. Sunset comes around 6:30 this time of year—and it’s traditional to kiss (or sniff) when the last ray of light is extinguished. Over the years, I’ve spent many a holiday away from hearth and fire and always found a good bottle of the local tipple to be a great way to feel at home and amongst friends even in a foreign country. In fact, a drink or two with a stranger abroad has, on more than one occasion, led to a lifelong friendship. Like the glass of Drambuie offered by Liz and Malcolm Duff a few strokes before midnight on Hogmonay—the Scottish New Year’s Eve—in Edinburgh as we stood together in Princes Street Gardens in a snowstorm, listening to a Scottish band, Runrig, sing a powerful version of Auld Lang Syne. Just the faintest whiff of a Rusty Nail, a decade later, makes me smile thinking of how Liz and Mal impetuously invited me for dinner to their 500-year-old stone house in Culross, an old fishing village outside Edinburgh, the next day, New Years, where the three of us tucked into a roasted goose and finished off the Drambuie (chilled with broken chunks of icicles pulled off the eaves of the Duff home) while Mal waxed poetic about how Bonnie Prince Charlie gave a bottle of the luscious spirit (along with the recipe) to the MacKinnon clan for saving his life way back in 1745. “We’ve been a-drinkin’ it in celebration ever since,” Mal told me. Actually, the Scots, and a lot of others, drink all sorts of whiskies and whisky-based liqueurs, like Drambuie, during the holidays. In fact, nearly two-thirds of Scotch whisky is sold during this festive season. But other countries have their own traditions as my wife and I discovered as newlyweds on a year-long sojourn through Europe. Fresh out of grad school, we bought a dun-colored VW camper, picked it up at the factory in Westphalia, Germany, and then hit the road, giddy and insouciant, masters of the universe. Until December rolled around and we found ourselves listlessly driving through Bavaria which, in winter, can be an enchanting snow-covered fairy-tale if you’re cozy in some ancient half-timbered Deutsches Haus in a medieval village like Dinkelsbühl (not in our budget) or a bleak, dark Burton-esque nightmare-before-Christmas if you’re the sole campers in the deserted Campingplatz Romantische which, despite its name, we found to be as barren of charm as a trucker’s motel just off the Interstate. But my good-natured wife refused to let cold-water showers and a bitter German winter dampen her holiday spirit. On Christmas Eve, she baked a rolled turkey loaf, procured at an American military base PX, in a butane oven while I stripped a pine branch from a tree and stuffed it in a wine bottle for our Christmas tree. We sang Christmas carols to each other and downed countless glasses of Sekt, the German sparkling wine, and valiantly fought off the holiday blues that slowly, inevitably covered us like the snow blanketing the gloomy campground. Still, we were doing okay until my young wife tasted a pudding she was making for the first time—her mother’s recipe—and discovered she’d ruined it by inadvertently using salt instead of sugar. That’s when the tears started. “Oh, this is the worst Christmas ever!” she cried. And I didn’t know how to console her. It was the holidays. She wanted to be home. With her family. Dining on fresh-cracked Oregon Dungeness crab and champagne, a Christmas Eve family tradition, and helping her mother make almond rocca and spritzes. Instead, she was stuck with me, in a cramped, damp, freezing Volkswagen camper, in a spooky German forest. And just as we were both feeling as sorry for ourselves as we possibly could, there was a heavy rap on our camper window. Shocked (we hadn’t seen anyone else here since we’d arrived three days ago), we pulled back the door to find a small, bearded man wearing a green Tyrolian jacket and hat. “It’s an elf!” my wife blurted out. She was, I think, a little snookered. Fortunately, the man—the campground manager—didn’t speak English and ignored my wife’s comment. He was carrying two dark green bottles in one hand and a covered plate in the other. And then she really started to cry. But in happiness this time. Someone—a stranger!—had brought us Christmas presents. The little elf-man looked at me, shocked, wondering, no doubt, what it was he’d said to upset my wife, but I shook my head to reassure him and insisted that he come inside our little camper, which he did—hesitantly. He showed us how to slowly heat the Glüehwein, a mulled red wine that smelled wonderfully of vanilla and cinnamon and orange, and then we sat there, cold but happy, sharing a Christmas toast with this funny little stranger who had appeared out of nowhere. Many years later, it’s still one of my favorite Christmas memories. The only reason I even stopped in Venice was because there’d been a change in my flight plans and I suddenly had a couple of weeks to fill before flying home. It was the end of a very long trip, a personal sabbatical of sorts, and I’d spent late summer and fall living in an atelier in Paris before moving on to Madrid, Florence, and eventually the Cannery Islands. I wasn’t exactly jaded at that point—just tired. Too many smoky train cars, damp hotel rooms, plats du jour. And since my return flight was out of Rome, which I’d already visited, why not go to Venice? The fact that it was off-season, just after Carnival, made it even better. The weather would be dreary, Piazza San Marco no doubt covered in sloshy duckboards, and the cafes empty. Which perfectly suited my subdued mood. I intentionally decided to stay away from touristy San Marco and reserved a room in the Dorsoduro sestiere, near the Accademia, a pretty-enough neighborhood not far from the Guggenheim Museum. The late afternoon was cold and damp when I decided to take a stroll along the Zattere, the waterfront path that stretches along Dorsoduro’s southern shore past stylish cafes (mostly closed) and the rustic bars known as bacari, to Punta della Dogana—the site of the old customs house which is one of the best places in Venice to view, from a distance, the Doge’s Palace and the Campanile of San Marco. Wait. I am being disingenuous here. I am giving you a rather Baedecker-like tour of my first trip to Venice (“Be sure not to miss the church of Santa Maria della Salute, an outstanding example of Baroque architecture!”), when in fact, at the time, my heart was beating like that of a young school boy who has suddenly spied his heart’s most ardent desire standing alone at the end of the school hallway. I wasn’t out for a casual wander in Venice. There was purpose in my step. My mind knew where my heart was leading me—to a crossing of the Grand Canal. The only question yet to be resolved–and the reason my heart was racing so—was whether I’d have the courage to take it. The church at Salute is, indeed, a fine structure, but I don’t care about that. I only mention it because it was from here that I caught the traghetto that changed my life. A traghetto, if you don’t know, is an inexpensive gondola that ferries mostly Venetians across the Grand Canal. There are seven different traghetti crossing points in Venice, but the one I stepped aboard that day crossed from the point near the church of La Salute to a gondola mooring at San Marco. Now, it is a Venetian tradition that when you cross the Grand Canal in a traghetto, you stand. Which can be a bit tricky if it is late in the day, as it was now, when clouds of winter fog, called nebbia, come rolling in across the lagoon. So there I was, standing nervously in a traghetto, my vision blurred by a soupy fog, worried that I might be pitched over the side or, worse yet, that we might be struck by a vaporetti also plying these waters. So that is one thing to consider but there is something else I haven’t told you yet. The reason I was heading home in a couple of weeks after this rather extended European tour was because I was going to law school. The European sabbatical, you see, was my way of postponing the inevitable—becoming an adult. But here’s the thing: While in Europe, I’d penned a few inept short stories in a blue notebook I carried around, and every so often I’d have this heretical notion that perhaps I should be a writer instead of a lawyer. Though I knew that was just crazy and a sure recipe for disaster. I mean, lawyers make money and writers don’t, right? Still, I couldn’t quite get the idea out of my head. It was as if I was engaged to a very nice, very proper young woman from a wealthy family yet couldn’t stop thinking about some saucy street busker I’d come across who played her violin for coins on the Piazza San Marco. You see the problem. “The book came to me in a sort of vision in Harry’s Bar in Venice,” said Papa about the novel. And that vision, I think, was a young Venetian girl. I thought of that line as the bank of San Marco slowly appeared out of the fog, for there, directly ahead of us, was Hemingway’s old haunt, Harry’s Bar. 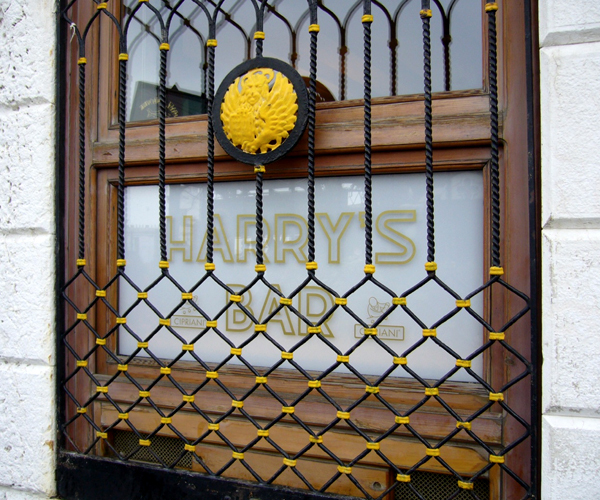 Let me be honest with you: There is nothing memorable about Harry’s Bar. It is smaller than one would imagine, aesthetically unremarkable, and its cocktails are small and overpriced. Yet I felt that the ghost of Hemingway was palpably present, which both frightened and excited me. It is said that the bellini was created here by owner Giuseppi Cipriani and if you go to Harry’s Bar in Venice at least half the patrons will be sipping the vaguely pink drink made with pureed white peaches and Prosecco, as they were on my visit. But I couldn’t imagine Papa drinking a bellini. It just didn’t feel right. So I ordered a grappa and sipped it slowly, watching the crowd—a mixture of well-dressed Italians and weather-beaten tourists—stumble in and look around for an open table where they could shed their wet coats and scarves before ordering a drink. As I said, there was nothing remarkable about Harry’s. Except that it was warm and cozy, the busy barmen in their white jackets quite solicitous, particularly of single patrons like myself, and everything about it made me feel as if I had been here before. I settled in. The pale light from the frosty windows soon dimmed as evening came on. I looked over the menu while ordering un’ ombra, a small glass of white Veneto wine. A young woman came in, shook her damp hair out of a wool beret, and sat on the bar stool next to me, leaning a wet instrument case up against the bar. She ordered an espresso. I asked her if she spoke English, she nodded, and we made small talk. She played the violin in one of the groups that roamed Florian and Quadri, the old coffee houses on St. Marks Square. She lived in Mestre and came to Venice just in the evenings to make a little extra money. She said this was the first time she had come to Harry’s Bar. I asked her why she’d stopped and she just shrugged. “I don’t know why,” she said. “Fate?” And then she laughed. She finished her espresso and said she should be going. She stood up and put on her long wool coat and scarf and, after shaking my hand, invited me to stop by Florian later in the evening to hear her play. I promised I would. “And what do you do?” she asked as she tucked her violin case under her arm. I told her who I was, the words sounding new to me. Still, I knew from that moment on who and what I was. 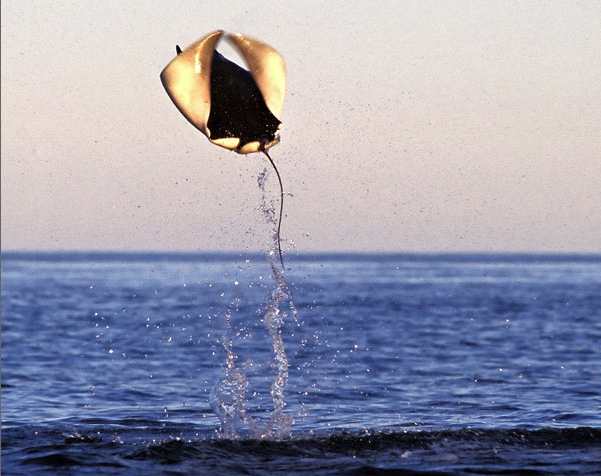 The Sea of Cortez, wrote John Steinbeck in 1940, teems with “a furious exuberance.” That exuberance might best be manifested in the flying mobulas, or cubana, rays, that perform acrobatics along the East Cape of Baja between La Paz and Cabo Pulmo. Called “tortillas” by the local fishermen because of the way they look doing belly flops, the manta-like stealth bombers launch themselves out of the water in a scene that is both spectacular and spooky, flapping their 3-foot-wide wings as they perform a somersault or two before crashing thunderously back into the sea in what can only be described as an aquatic Cirque de Cortez. I’ve seen them in December and January before but mostly I have friends who say the best time to spot them is in the summer. So when, exactly, is it best to catch the show? It’s hard to say; their comings and goings, called “pulses,” are as wonderfully mysterious as their acrobatic performances. If you’re curious about them, check out the story and photos by Paul and Michael Albert on their web site. To search for bonefish in schools of stingrays. 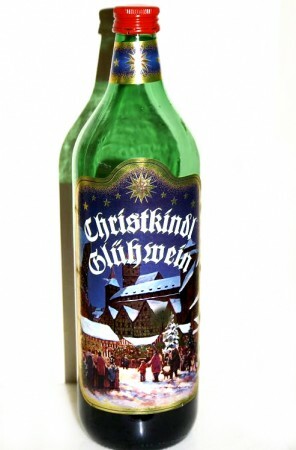 Chug glog today to keep yourselves merry. Our godson as well as a dear friend. Saludos to the Fletcher familia! With father, Chris, and Malin, their mother. Who should meet Sally Fletcher—quite the lady! Let’s toast the Ducks and Coach Kelly—Way to go! Let’s hope next year doesn’t bring NCAA bans. Like tequila lover Greg Ginnell and his wife, Mechas. As well as Sonia from Austin—I’d like to meet her. Liz Caskey and Kristina Schreck in Santiago. As well as a deadly oyster predator. Good cheer to you and foodie Jerry Di Vecchio. Megan Padilla, congrats on the new baby! She’ll grow up as beautiful as her mom, maybe. With roasted lamb—I hope real soon to be seein’ ya. Rock star editor Keith Bellows and P.A., Gio Palatucci! Now that we’ve all survived the market’s big crash. So Merry Christmas to all, and to all a good night! If You Enjoy This Blog, Please Consider Making A Donation. What's your favorite city in New Zealand?